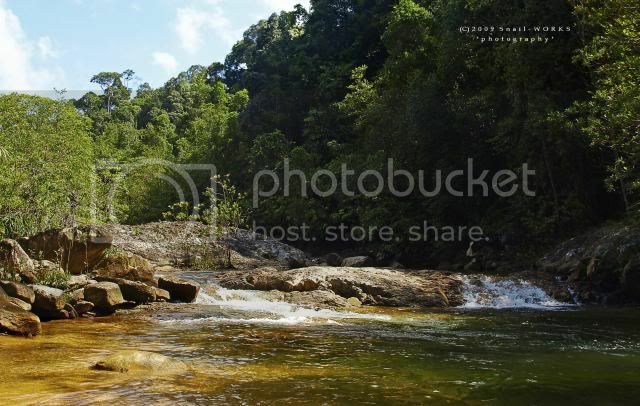 地点 Location Hutan Lipur Berkelah, Gambang, Kuantan, Pahang. 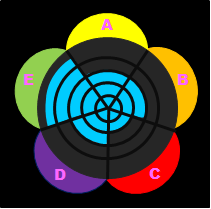 类型 Profile River, segmented & tiered. 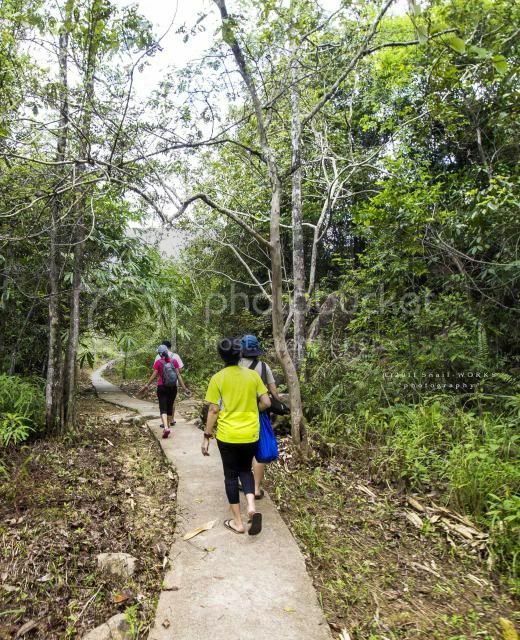 进入 Access Park walking or jungle trekking. Depend. 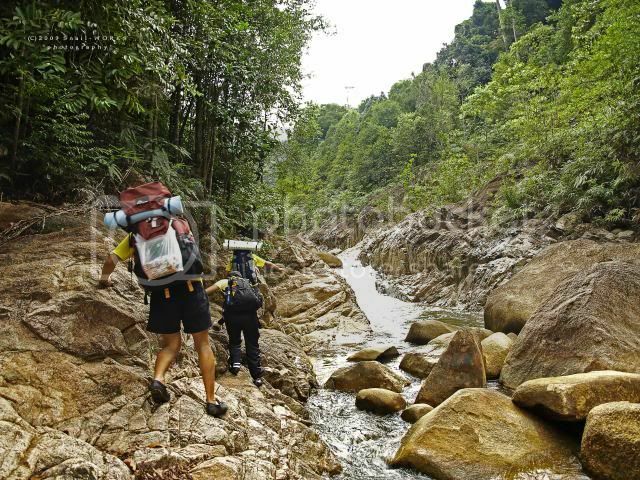 Easy walking to 1st tier, jungle trekking is required if intend to go further upstream and main fall. 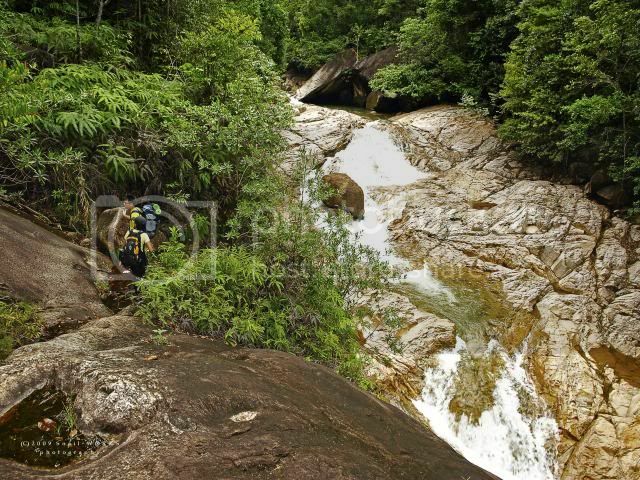 About 2 hours trekking time to the main fall. Alot of potholoes, still accessible for sedan car till to collapsed brigde near the park.. Walk about 10min to reach the park. 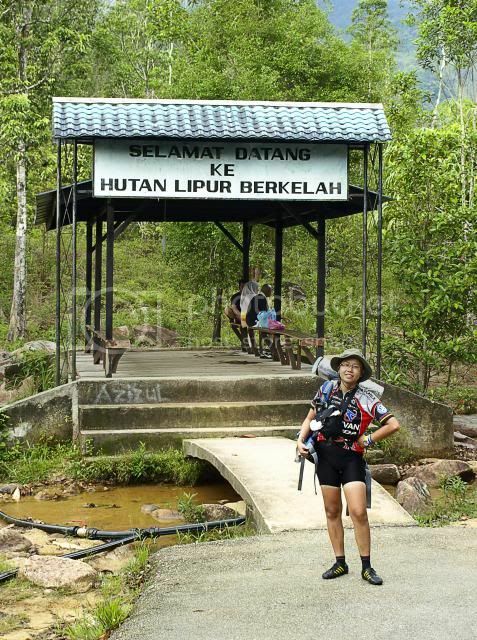 From Kuantan, just take road no.2 pass Gambang towards Kuala Lumpur direction. 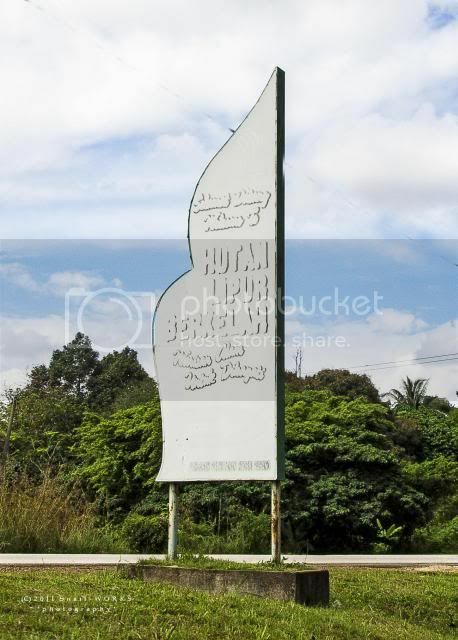 A signboard indicate "Berkelah Recreaction Park" is located at Kampung Gelugor. Turn right at the junction. 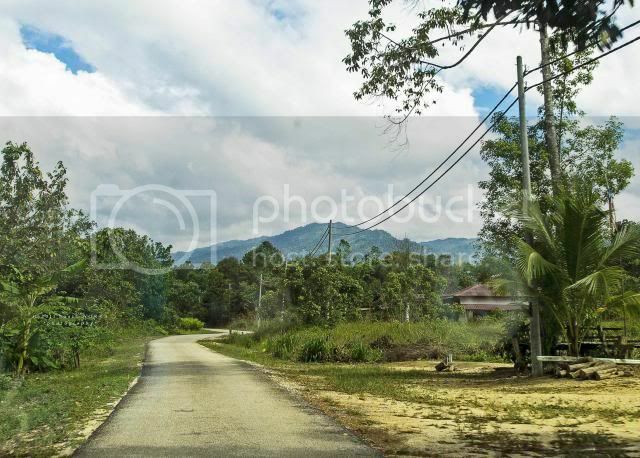 First we drove pass the Kampung Gelugur. The road condition became worst after village, non-tarred road and lot of potholes. Accessible for normal sedan car but with very slow and careful driving. The bridge connect to the park had been collapsed during flash flood, so everyone need to start walking from the broken bridge. 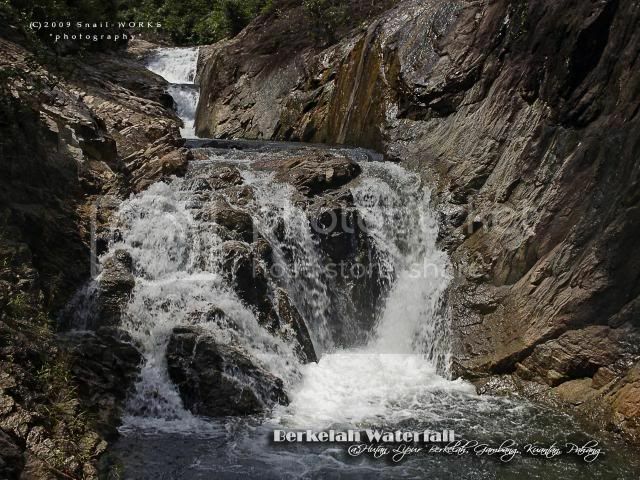 The main entrance of the Berkelah Fall. Paved pathment all the way to the 1st tier. 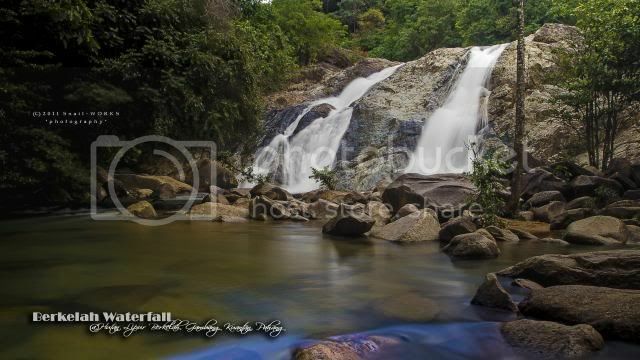 The 1st tier of Berkelah Fall. 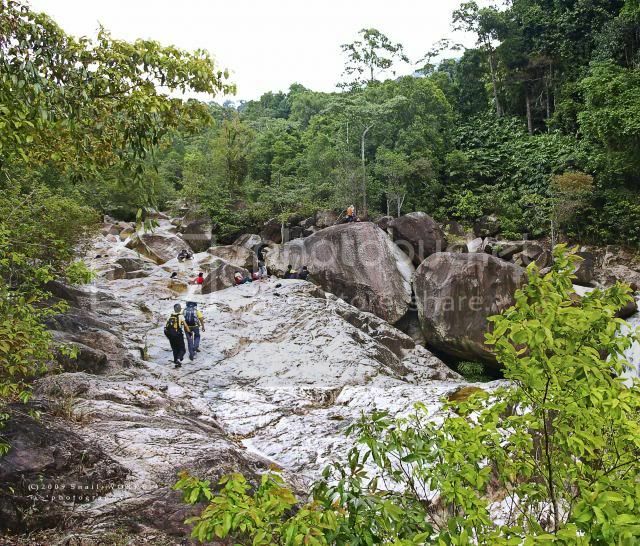 It's the easiest tier, suitable for family outing..
After the waterfall, we followed the trail on the left to the upper stream. 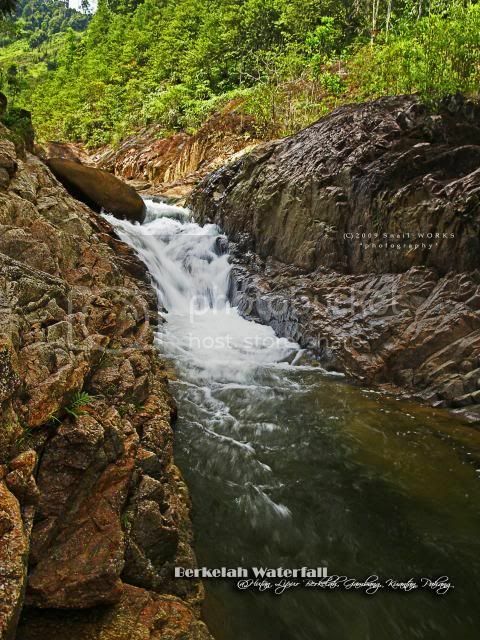 Sometimes it's wide rock surface, sometime it just a narrow passage beside the river. 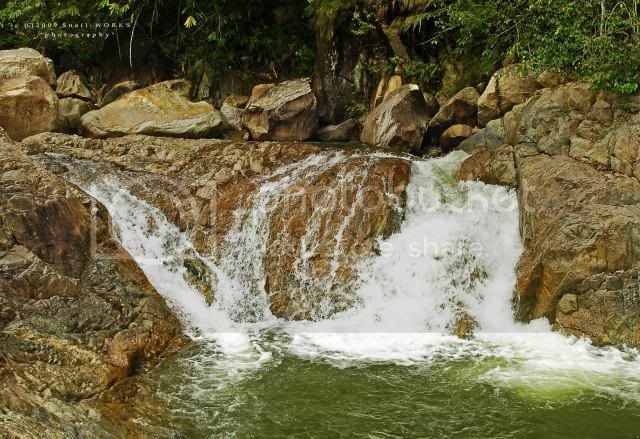 Saw lots tier of waterfall along the way. 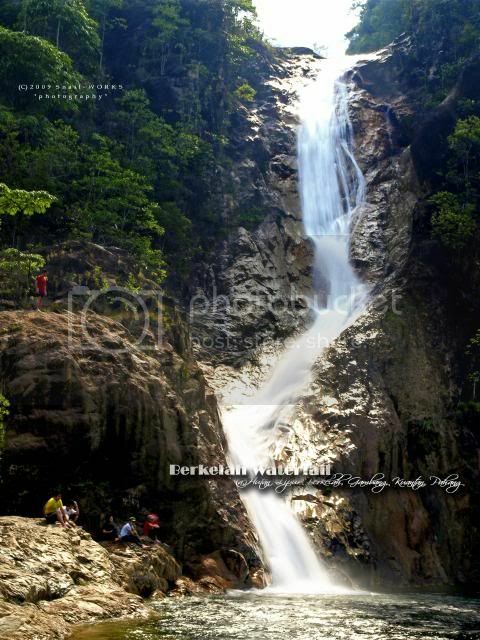 The main Berkelah Fall. estimated height of 50 metres. 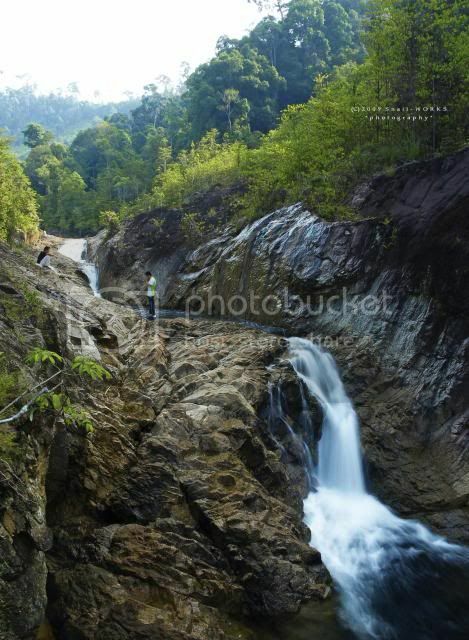 There's a trail lead to the top of Berkelah Fall. Only found some small cascades at the upper river. 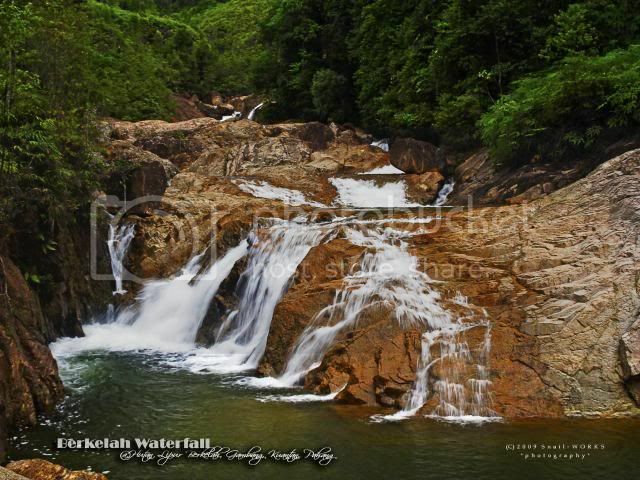 Have you been to the Berkelah Fall?